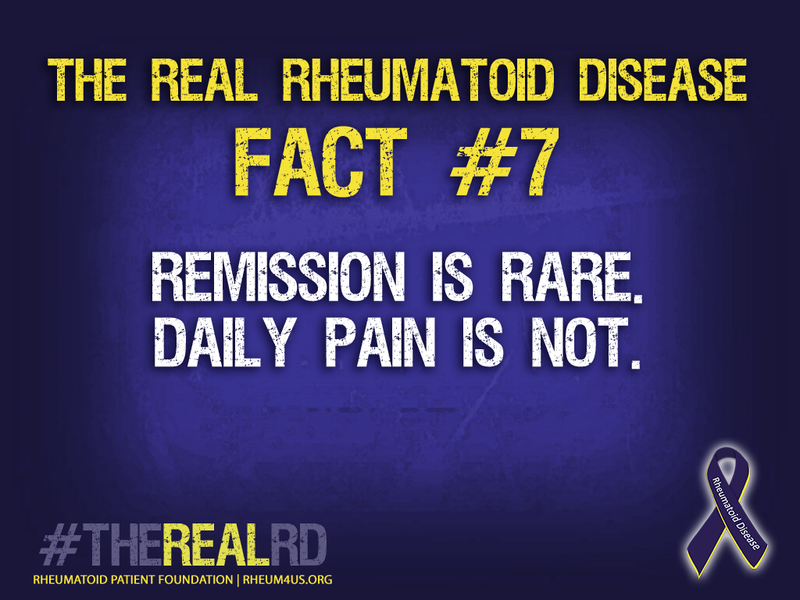 #TheRealRD #7 - Remission is Rare and Daily Suffering Is NOT! As I read over the 7 ideas that the #TheRealRD asked for bloggers to blog about for RA Awareness Day, which is on February 2nd, and also happens to be Groundhog Day, and was my Dads Birthday, yet he passed away 10 years ago. Ive come to know and understand the true chances of myself, and thousands of others out there like me, who suffer from this Autoimmune Illness, have MUCH pain, sometimes daily, and we KNOW all too often no amount of medications our Rheumatologists give us, the pain, the stiffness, the swelling, the lack of use of that particular part of your body like your hands and wrists become a severe problem. Take someone like myself that is a published author, and avid blogger, trying to set at the computer daily, for often hours at a time, if you intend on keeping a blog up to date, and writing a 3rd book, I must be at the computer. Yet, daily pain keeps me from making my goals, that I had set even two years ago. 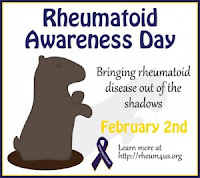 So, when I saw this opportunity to write a blog post in honor of February 2nd, RA Awareness Day, by the Rheumatoid Patient Foundation (RFP), I am thrilled for the opportunity. Honestly, and I am sure many of us could write about all seven of the topics. I have been through so many different medications and combinations, that either did not work, or caused severe other health problems, mainly all types of infections. 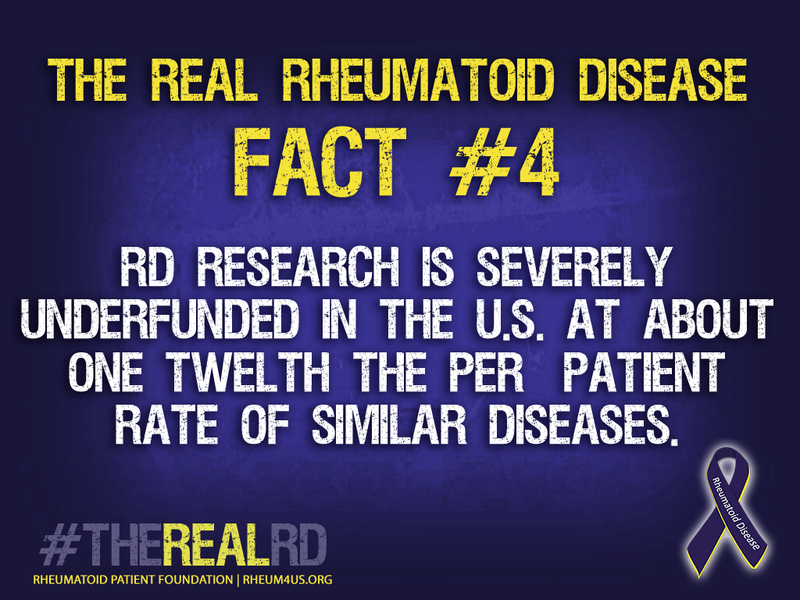 I feel we do NOT have nearly enough research funds to get to the root of this hideous life altering disease. 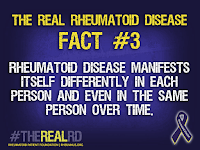 I also know so MANY others may not know that RA can effect all different types of organs in the body, from the heart, causing the heart attack number to DOUBLE for those with RA. It effects the joints, and usually many joints. Feet, toes, fingers, wrists, thumbs, the spine, the liver, lungs... 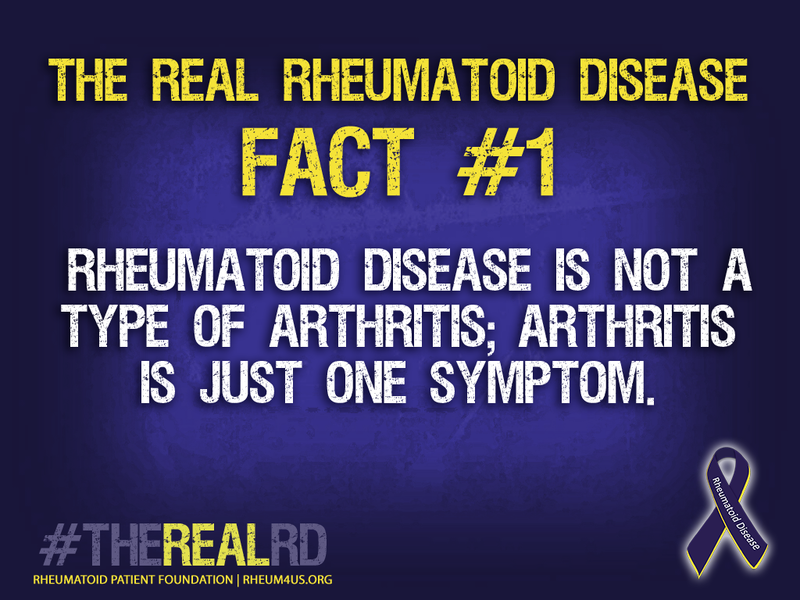 It is a systemic disease, of which can harm any and/or various other vital organs of the body. The daily pain is what many do not often understand though. Those who do not know the treatments, may not realize just because we are on medications, that does not mean, that all that often the pain subsides. 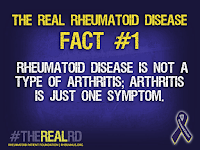 I spoke with a member of my Rheumatologist staff two weeks ago, and when I explained to her the amount of pain I live with was high on the 1 to 10 score, she looked at me and said that is NOT Acceptable! No one should live most of their daily lives in that much pain! After speaking with her it dawned on me that I DO accept an unacceptable amount of pain most days of my life. I have gotten to the place I think this is just how it is, I WILL have to just LEARN to ACCEPT that on a scale from 1 to 10, pain at an average of 4 will have to do, which is so WRONG! 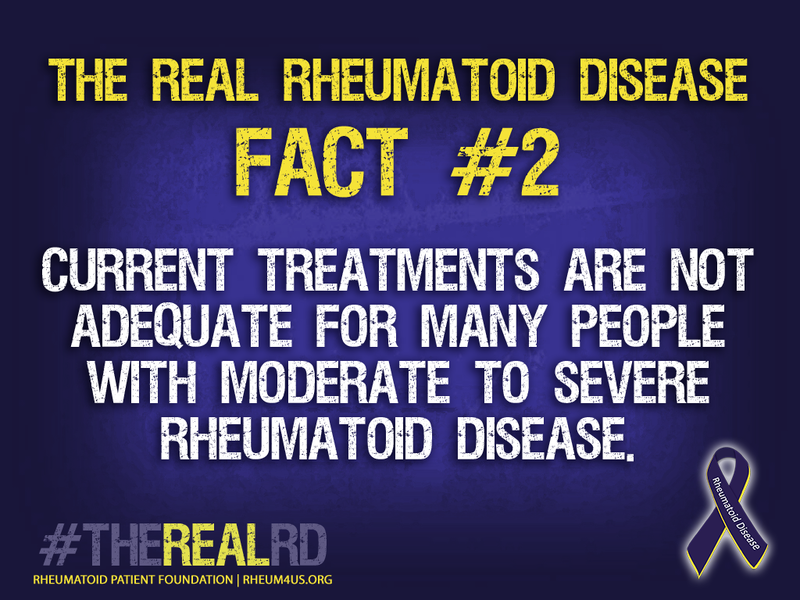 A level daily of 4 for most people not used to chronic pain would be excruciating! And it is not right for me to have to deal with ongoing pain of that magnitude day in and day out, yet what do I, or WE do about it? I have a great Pain Management Doctor, who has implanted my pain pump, and will up the dosage as I need it, plus he gives me oral medication for breakthrough pain. Yet, I feel that is part of the problem. I have TOO MUCH breakthrough pain, on almost a daily basis. MANY of US as Chronic Pain Patients, whether from RA, Lupus, other bone and joint problems, spine and back issues, severe nerve pain in different regions of the body, for many reasons, from diabetic nerve pain, to nerve pain and other types of chronic pain, that even our doctors do not know WHY it is there or sometimes even HOW to treat it properly - we are told that WE MUST LEARN TO COPE with a CERTAIN AMOUNT OF PAIN! It is not that I do not agree with that, I do. NO MEDICATION will take away ALL of the pain. 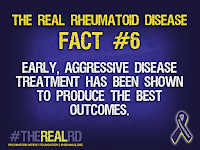 YET, with the proper treatments, diagnosis, sometimes surgeries, some combination of medications, certain types of exercise, some diet changes, and some natural types of therapy pain can be diminished much better. IT IS FINDING that right combination of all of those or part of those things that can give us that type of relief, BUT it make take weeks, months, even years to get that all adjusted and working. 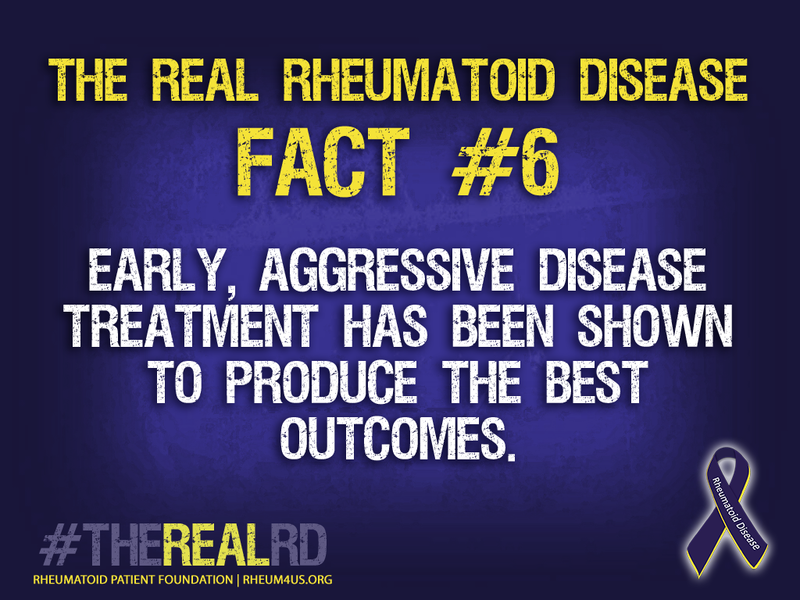 There is NO ONE treatment, or magic pill, to just take and chronic pain subside for good. 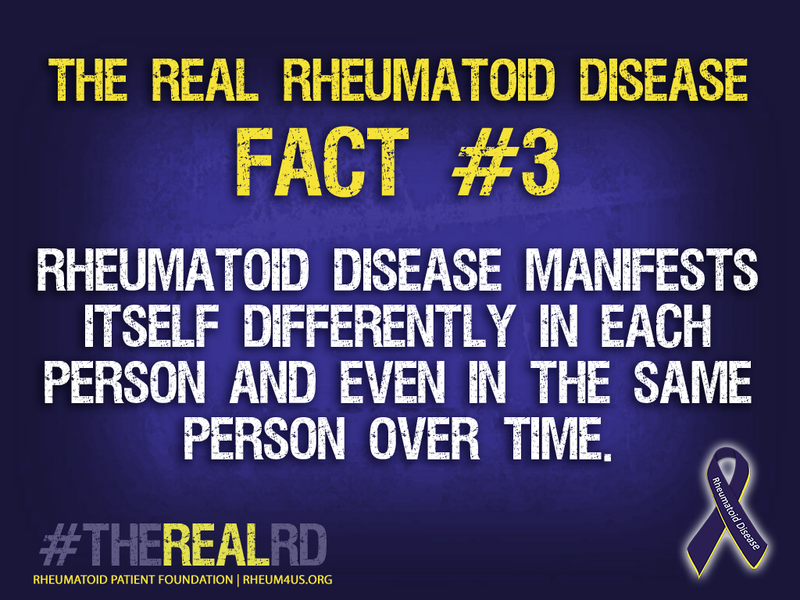 All too often I feel that RA is a very misunderstood disease. Even though we have LOADS of information about medications, ads on the television, and in magazines, I feel that as a society those that are not patients, caretakers, or close to someone with this horrid disease do not fully understand what it can do. It as not as simple as taking an NSAID over the counter, or even taking one medication that is a prescription. At times, some of us DO fine the correct medication, or combination of medications and find relief. Yet, those that do, are far and few between. 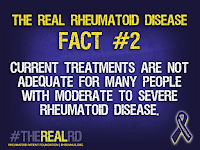 I have been through an entire gamut of all types of medications for RA and Lupus. In fact, I just saw my NP from my Rheumatologists office 2 weeks ago. 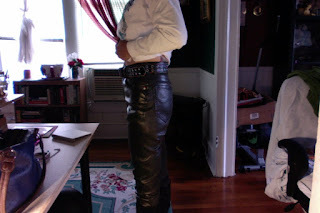 As we spoke about my pain, the daily swelling, stiffness, I am losing more of my grip in both hands, the weakness, losing the ability to do everyday things, buttoning a shirt, or even zipping a zipper... I have watched my body especially my hands, wrists, fingers, thumbs are very bad, feet, ankles and now my spine begin to degenerate even more than ever before due to RA. She made a remark that upset me when she said, that I had tried all kinds of medications and none of them seem to work. What upset me about it so much, it was like she was blaming ME for medications not working! Some of them caused too high of infections in me. I had double pneumonia at least twice, then had cellulitis in both thighs, that then turned into double abscesses, that took 4 or 5 MONTHS to get well. I had to make a weekly trip 35 miles ONE WAY for weeks and weeks to a Wound Care Specialist in order to HEAL those abscesses! It delayed me in having a cervical neck surgery I needed badly, as well as my internal pain pump had a permanent motor stall, and I needed surgery to replace it! But not one surgeon would touch me until those abscesses were basically well, and I was free of infection. So I spent months without most of my RA medications, plus a couple of months without my pain pump working, and suffered endless weeks of having to have wounds the size of a silver dollar and as deep as half my thumb getting debrided until they finally got well. Our pain is NOT just as simple as from a joint. It is not as simple as taking one pill. There are so many medications, yet like myself, daily, I am in pain. Especially for the 1st few hours of the morning. As joints start to be effected MORE by this disease, then the pain can become almost unbearable, and at times, even in my lumbar spine, I have enough degeneration from this hideous illness, that it hurts so badly, I cannot even sit to type, to write, or often not be able to have the quality of life I so want to have. 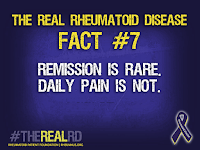 Honestly, I cannot recall unless maybe a very rare occurrence that I have read or heard one person tell me, I am in remission, and I have finally no pain from Rheumatoid Arthritis. I do not believe the cases are out there, and if they are, very, very rarely do they happen. 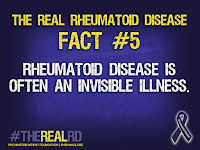 When I saw the article about raising awareness on February 2nd by the Rheumatoid Patient Foundation, and that I could participate, and tell my feelings on 1 of 7 subjects, I wanted to tell my feelings, and story, because awareness is something we so desperately need so much more of. 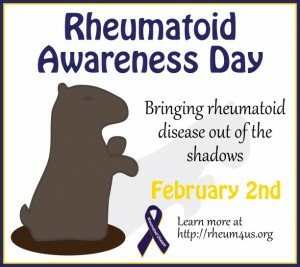 Blog Post for Feb 2nd For Rheumatoid Arthritis Day! 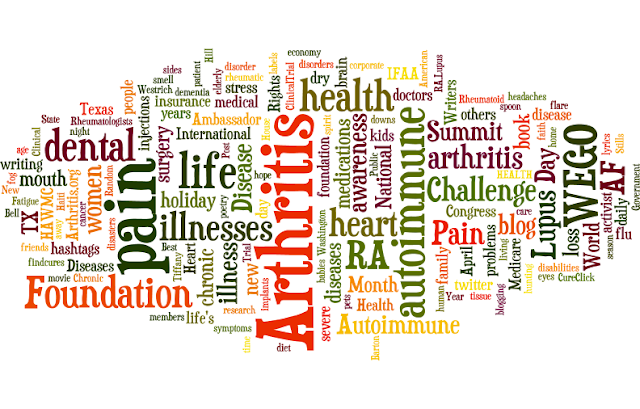 has given us bloggers, or those who would like to post 7 topics to pick from to post about for National Rheumatoid Arthritis Day! I had picked the 7th one and am working on my blog post now. 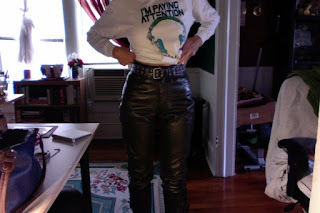 But I wanted share to these with you and the article in case you would like post post or blog about it! Those are many great topics to blog about ad gives e an idea about where some of my blogging may go this year when it comes to RA! Okay, I have a very odd situation going on with my Mom. I called her yesterday evening about 7PM or so, and she was crying. It scared me to death, thinking something was really very wrong, and then I was upset she had not called me. So, she starts out telling me that my (sister in law) Madeline, who has not spoken to any of us since my Dads funeral in 2005. My step brother Larry, and her were at the funeral home I guess they day they were picking out the casket, and so forth. I had not made it in yet from Seattle, so I was not there to know what happened exactly. But, from what Mom said, Madeline (who honestly always acted like we were trash, and not good enough since we did not live in a huge fine fancy home and so forth) is was born and raised in England, and had a little girl Karen who was just about 3 years younger than me. Anyway, I could make that a long story, but anyway, something came up at the funeral that Larry asked my Mom about some (insurance policy) that I guess my Dad had many, many years back, and he had probably used it for his burial, so it was no longer there. But Madeline must have stuck her nose in the middle of it, and began asking I guess about that policy, the money on it, and felt it (belonged) I guess to Larry and her! Well, Mom was already in a state of shock, as to how my Dad died so suddenly from a knee replacement that went very wrong... and to this day we are not really sure exactly what happened to cause him to die... but after whatever words transpired, Larry and her would NOT speak to ANY OF US! 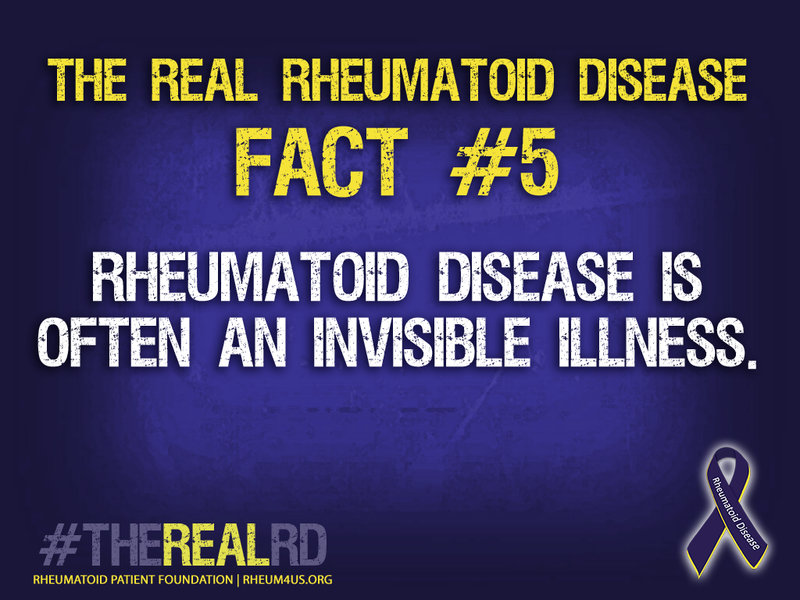 Losing So Many Lately To This Hideous Disease of Lupus! Since the 1st of January, we (Facebook friends with Lupus) have lost at least 7 or 8... or more of our Butterfly Friends to Lupus! I just got word today of another really awesome friend, John who once again lost his battle at much too young of an age to this hideous disease. It leaves us here with an empty and frightening feeling... one day you are okay, the next extremely ill, and the next have passed away.... leaving friends and family wondering when a reason and a CURE WILL BE FOUND! 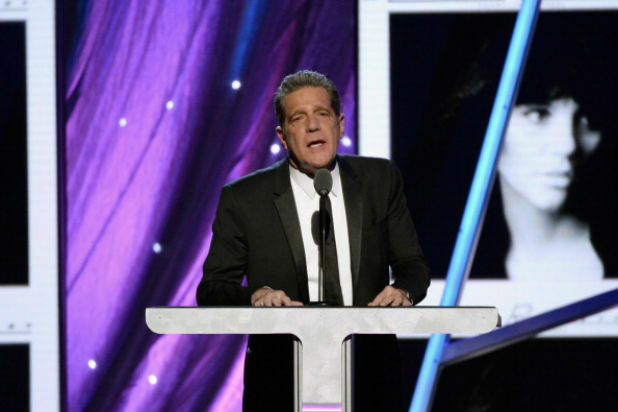 My heart and prayers go out to all of the family, friends, and Facebook friends, in which we bond with... the we also feel the loss of yet another friend.. So May John family know he is in a better place, free of illness, pain and suffering, along with Ashley, Aubrey and several others that have been on Facebook since January 1st. Folks IT IS TIME TO STOP THIS HORRID NIGHTMARE OF AN ILLNESS IN ITS TRACKS! 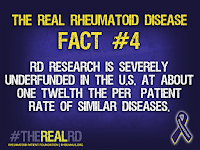 We need MORE RESEARCH, A CURE, A REASON WHY OUR IMMUNE SYSTEMS SUDDENLY GO NUTS AND TAKE OVER EVERY PART OF YOUR LIFE!!!! I happened upon an article about Boron or Borax therapy, that proves to be extremely interesting. 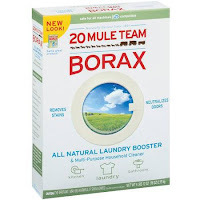 I know that Borax that I buy in the box and put in my laundry is an all natural type of supplement, and I had heard about studies on it back in the 60s and the health benefits it has on us. We NEED an amount of Boron in our systems, to help keep us from having JOINT PROBLEMS, arthritis, stiffness, swelling, osteoporosis, even helping to keep you from having kidney stones, and so much more. 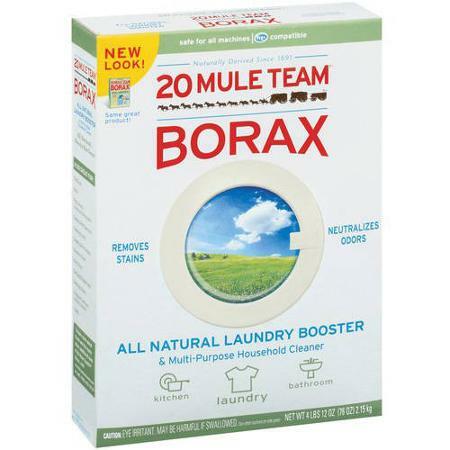 I had forgotten about it until I read another article this morning, and I am doing some research on it, but I think I will take some Borax (i just used the rest of my box in with Arm and Hammer Washing Soda and mixed them, so I will have to buy another box, but basically it is the very same as going and buying Boron Tablets. You can mix like an 1/8 of a teaspoon in a liter of water, and drink it. There are several ways people do it, drinking it during the week, and then not on the weekends, or drinking it one week, and not the next, and alternating. BUT after reading several articles on this, I think I will buy a new box and give it a try. I looked up the pills, but that means another expensive and it is all the same. I am very impressed as to what I have read, and as I said above, I had heard about this several years back, and seen a new article about it, so I decided to do a bit of research on the subject. Of course before you try it, I would make sure it does not interfere with any of your others medications, and you may want to ask your physician. Although for myself, since it is a substance in our bodies, that we probably lack due to all of the other junk and chemicals we put in it daily, I see it like a green tea pill, or other types of supplements. I already take B-12 in pills and monthly injections. Terri Lewis, PhD is a frequent contributor to the National Pain Report. She is a daughter and a mother who has witnessed chronic pain first hand. She currently serves as an Assistant Professor, Rehabilitation Counseling and International Programs Consultant at National Changhua University of Education in Taiwan. She originally published this column on Linkedin on January 17. 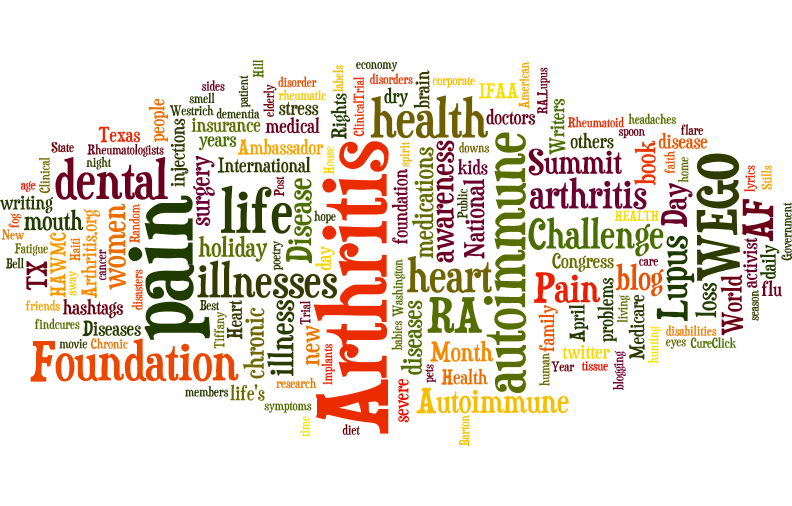 Monday Mornings Latest Addition of All Things Autoimmune from Lupus, Chronic Pain, the Environment, and much more! 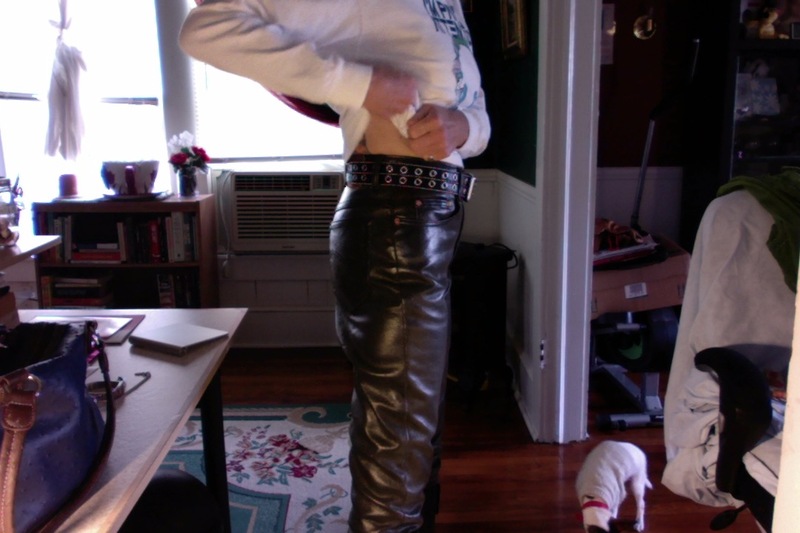 I never thought I would ever see the day, I could fit in these jeans again. 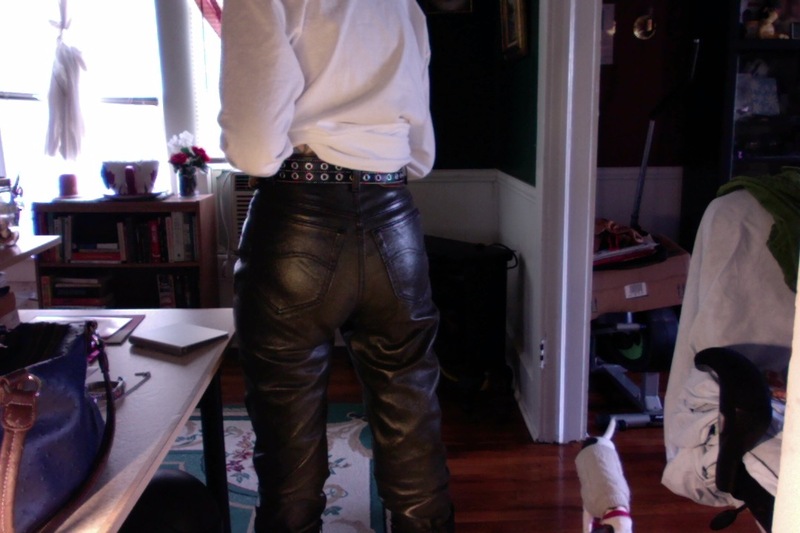 I have had them for more years than I care to tell, something like 20 at least - and after I was diagnosed with Lupus, RA, Sjogrens, had all of the surgeries, and then the pain pump put in my right side, I honestly never thought I would be able to wear these, or any waist line high type of jeans... thank goodness I have always been a huge fan of low rise jeans, they fit under the pump... but recently I lost some weight and decided to drag these out of the back closet, wash them and give them a try! And Ta-DA! By heck they fit!!!!! So, for me this was a Kodak Moment... after going through the weigh issues after medications, surgeries, and I would take some of it off, then have surgery again, could not exercise etc.... or would have to be on high doses of corticosteroids for a flare, and here would come the weight on again.. I have been able for the most part to keep it to a decent level, but it was still depressing for one, to have issues that you have no control over that cause weight gain, loss of teeth, hair thinning, skin discoloration, not including the scars from many surgeries, knee replacements, shoulder replacement, the pain pump incision and also it sticking out from my right side.. so this was a moment for me, that made my day, week, month and part of the year! Above is a link to another article "Why I am Afraid of going to my Pain Doctor Appts"
Just a Quick Hello and more to come.... Wound Care appt(Last) hopefully today and my Rheumatologist appt. so a LONG DAY in DALLAS! TODAY IS THE FINAL DAY FOR COMMENTS ON CDC GUIDELINES FOR PAIN MEDICATIONS! PLEASE GET YOUR COMMENTS IN!!!!! ABOVE IS THE LINK TO GO AND COMMENT ON THE CDC GUIDELINES THAT CAN EFFECT THOUSANDS OF PEOPLE, POSSIBLY MILLIONS OF CHRONIC PAIN PATIENTS AROUND THIS NATION! THIS IS OUR TIME TO TRULY SPEAK UP FOR ALL OF US WITH HORRID PAIN ISSUES, AND KEEP THE GOVERNMENT FROM TELLING GOOD PHYSICIANS HOW AND HOW THEY CANNOT TREAT THEIR PATIENTS! I GOT A NEW "PATIENT" INFORMATION PAGE LAST WEEK AT MY PAIN SPECIALIST! IT WAS A NEW WAY THAT I KNOW THE "GOVERNMENT" MADE THEM WORD, THAT YOU MUST KEEP YOUR MEDICATIONS IN A LOCK BOX, BUT YOU SHOULD TAKE A PHOTO OF YOU AND YOUR LOCK BOX TOGETHER AND TAKE IT INTO YOUR PHYSICIAN!!! AS OF NOW THERE ARE 3,825 OR SO COMMENTS, WE REALLY NEEDED 3 OR 4 TIMES THAT MANY AT LEAST!!!! Remember These New Clinical Trials - for Cushings Symdrome, Alzheimer's, Pediatric Asthma, and Severe COPD!